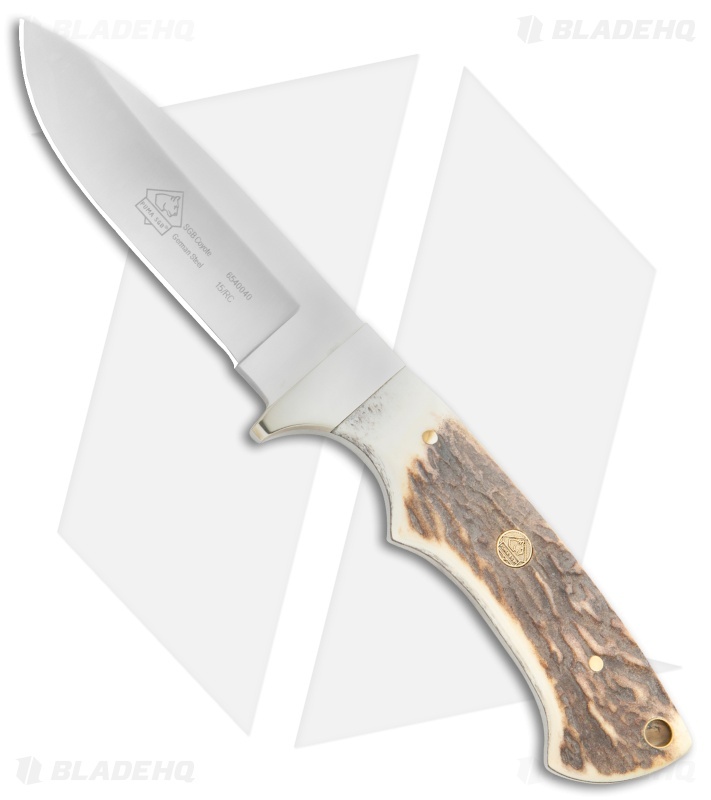 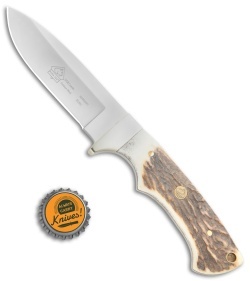 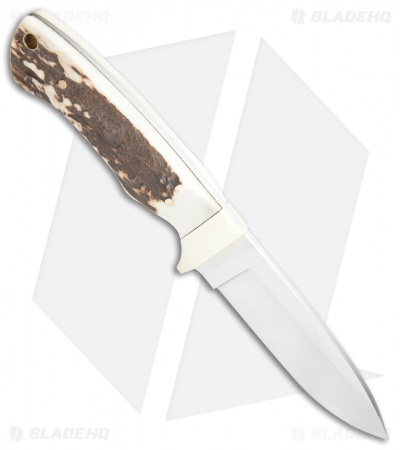 Puma's Coyote Stag is a classic hunting knife with its German 440A stainless blade, tapered full tang and genuine stag handles. A generous finger choil, textured stag handles and a brass finger guard provide a secure grip in any situation. 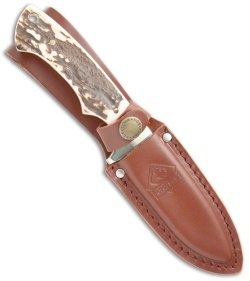 Included with a brown leather belt sheath.